Outstanding price for this charming home on quiet, cul-de-sac in Ranch Club area in picturesque Elizabeth Lake. NOHOA!!! NO MELLO_ROOS!! A home not a condo! 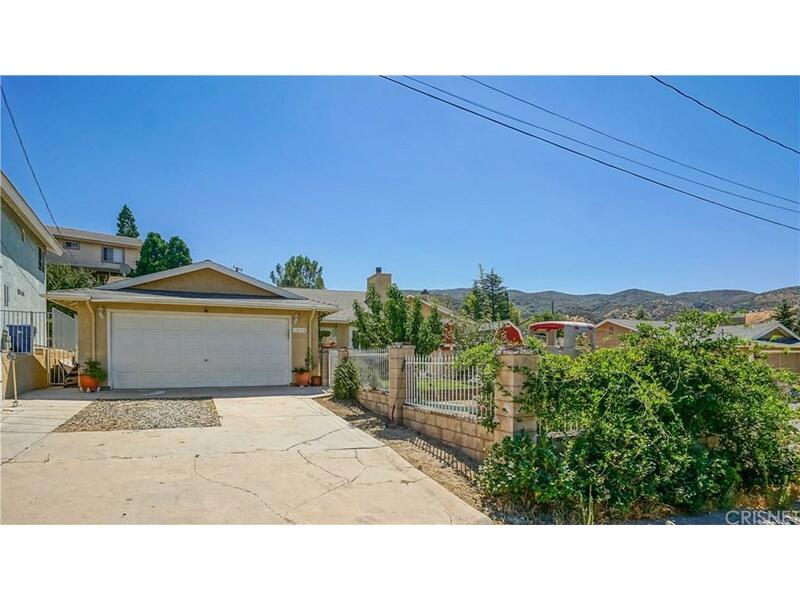 Beautiful mountain setting a short 20 to 30 minute drive from the Antelope and Santa Clarita Valley's. This home flows and shows very nice with large bedrooms and living spaces both indoor and out! Private, fenced-in, front garden and yard with grassy area and fruit trees! Updated interior with new paint, trim, doors, lighting and fans, water-resistant laminate floors and much more. Large living room with wood-burning fireplace insert and vaulted ceilings. Spacious, remodeled kitchen with granite counter-tops, natural stone back-splash and new appliances. Quaint patio off the kitchen and separate yard/area above with outdoor building currently used as extra storage and office space. The home has many upgrades with newer roof, newer water heater, a newer septic system, newer windows, installed newer electrical sockets, ceiling fans, and light fixtures! Truly a find in the area!